Jenny Wilkerson, Ph.D., joined the University of Florida College of Pharmacy in November 2017 as a research assistant professor in the department of pharmacodynamics. Wilkerson received her Bachelor of Science degree in cellular/ molecular biology, with a minor in chemistry, from Northwest Missouri State University, and her Ph.D. in biomedical sciences from the University of New Mexico School of Medicine’s department of neurosciences. 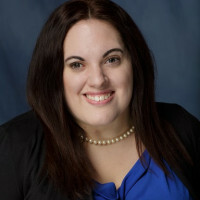 Upon completion of her doctoral studies, Wilkerson completed a postdoctoral fellowship at Virginia Commonwealth University in the department of pharmacology and toxicology, where she was the recipient for the competitive Ruth L. Kirschstein F32 Individual National Research Service Award. Her research interests broadly encompass the involvement of the immune system in preclinical models of pathological pain and neurodegeneration, with an emphasis on endogenous cannabinoid (endocannabinoid) system modulation. Additionally, an area of keen interest of Wilkerson’s is the examination of the adjunct administration of experimental preclinical compounds to produce enhanced analgesic opioid effects, with diminished drug abuse liability.